KUFstuff is a selection of smaller interior design objects often created as bi-products from a longer design process for another project. More images of different projects to come. 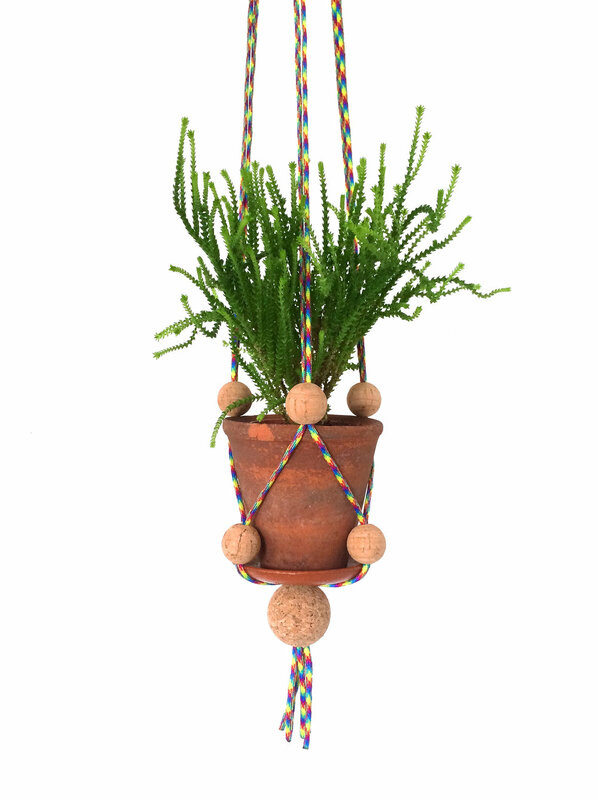 Adjustable plant hanger made from paracord and sustainably grown cork. The corks can be adjusted to fit (almost) any size pot as well as the saucer. Mesmerizing spiral mobiles made from a4 sized sheets of different materials. This mobile is made from stone paper. Yes, that is paper made of stone. One sheet of a4 90 gsm copy paper is cut and bend into this module which was the first ever made mobile from the process of making a model a day for 3 months.